Terrell Clinic is regarded as one of the most exclusive, upscale, and comprehensive medical facilities of its kind in Oklahoma. 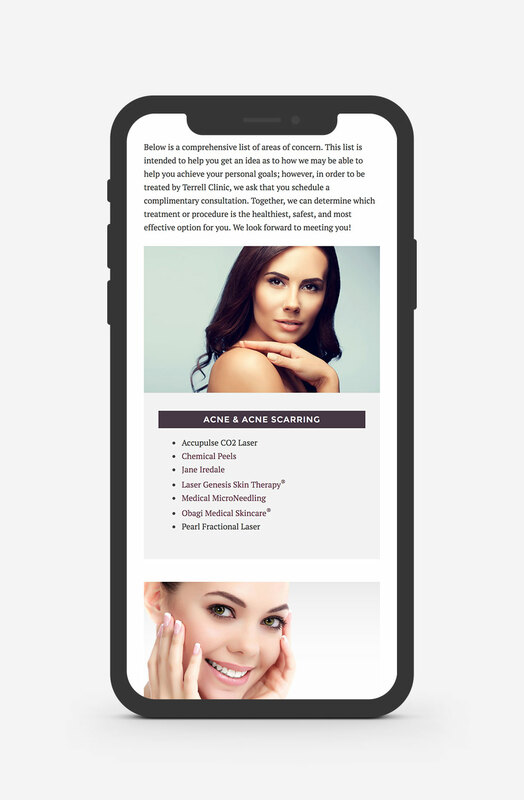 This gorgeous center focuses on helping patients achieve optimal anti-aging, preventative, and restorative results that allow them to look and feel their absolute best. 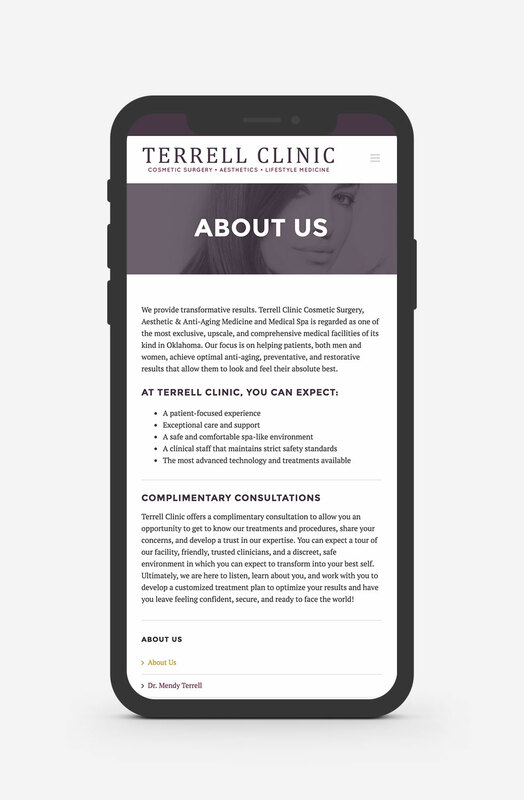 Terrell Clinic knew it was time for a new website: their old site was difficult to maintain and update, the branding was not reflective of their current look and feel, and the user experience was lacking in many areas. I was beyond delighted to assist them in building the new site of their dreams! 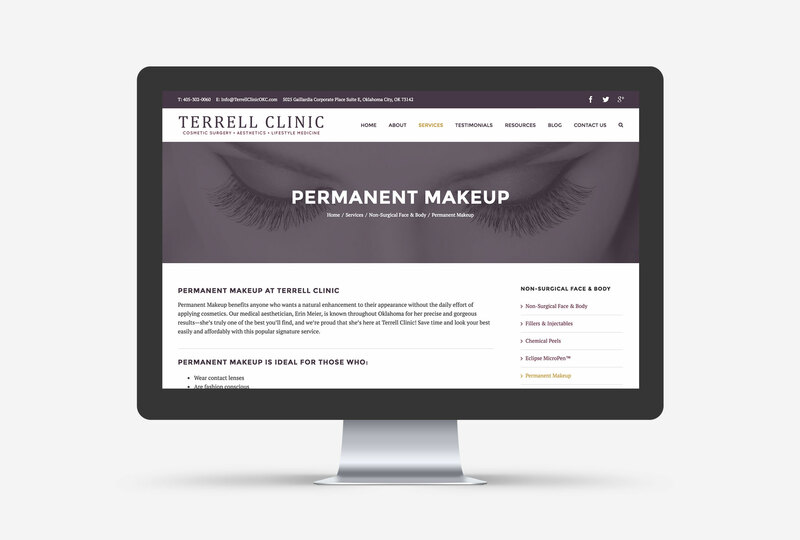 The result of the Terrell Clinic redesign is a digital experience focused on an intuitive user experience, all the while capturing the essence of the team and their beautiful facility.